The front page of my new Ban.do planner! When August comes around, I get really excited about going back to school. I love school supplies and getting organized, and weirdly enjoy going to office supply stores like Staples to stock up on highlighters and notebooks. It still hasn't totally hit me that I don't need to go back-to-school shopping this year, but at least I can get in the spirit of things with the annual purchase of a new agenda! I'm a firm believer in writing things down. I love iCal and all those apps to remind me of appointments and deadlines, but in terms of planning blog posts and scheduling things, I have to physically write those things down. I like the tangibility and the visual aesthetics of handwritten notes, and I remember things better when I write them down by hand. Plus, I usually accent my notes and to-do lists with drawings and stickers, and they just haven't found a fun way to do that on iPhone apps. 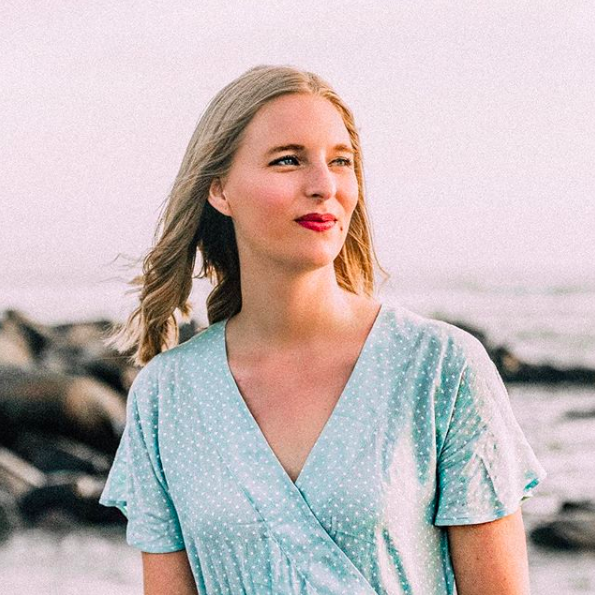 Back in high school I was all about the Lilly Pulitzer agendas, but I've graduated to ban.do, which is a little cooler and grown-up but still a lot of fun! I'm obsessed with the cute illustrations and weekend activity suggestions, as well as all the stickers they provide (okay, I also bought their sticker book because I'm addicted). Plus, they feature work from tons of different talented artists, so it's fun to see how all the different art styles come together and make each month unique. Last year I had the large agenda, but since I don't have to jot down daily homework assignments and sorority events anymore, I went for the medium size (6.5x8.5in), which is just a little more portable. It fits perfectly in my Chanel backpack, thank goodness! 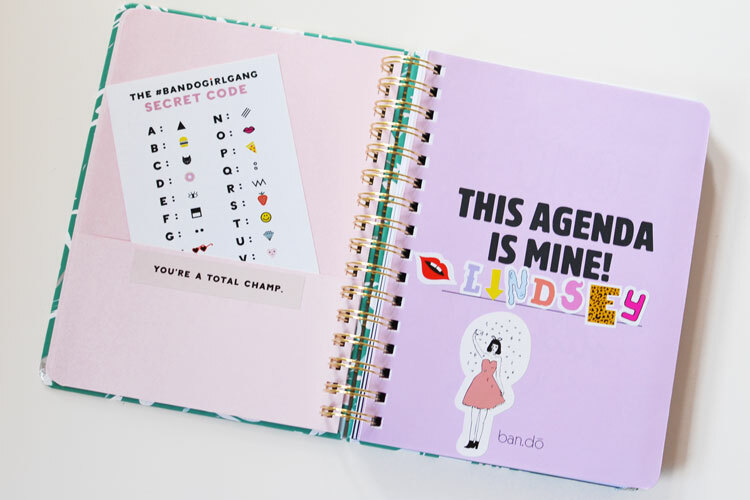 Ban.do also has a smaller size (5x8in) agenda if you want an on-the-go planner that can fit in your purse, but my handwriting is too big to put much in the tiny squares, haha. The medium was a happy, well, medium! 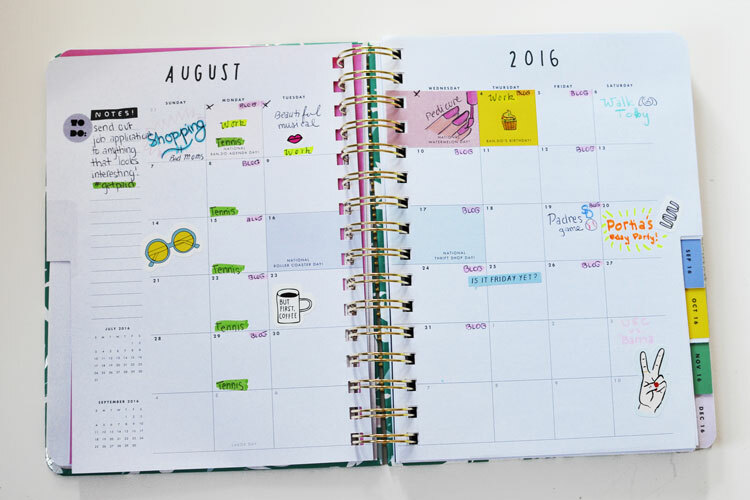 Stickers are an essential part of the planner process! 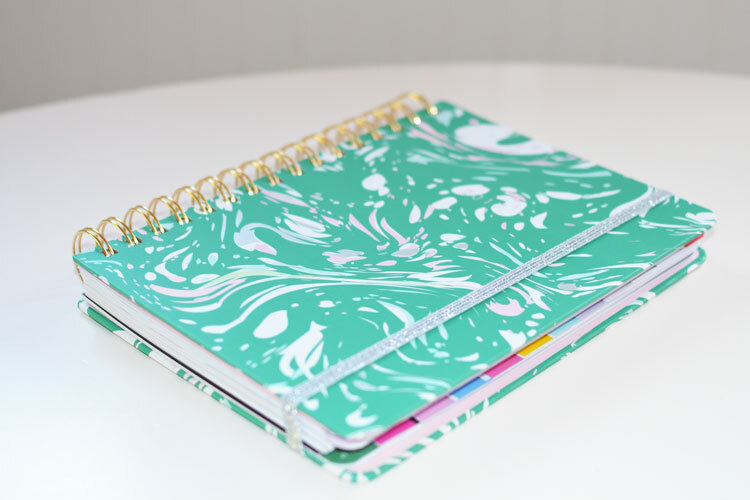 Staying organized in style! I love that the ban.do agendas have a month view and weekly view, as well as a note page for each month. I use the monthly calendar as an overview of my month, with the biggest events, deadlines, and appointments written down. Just general stuff so I know what's happening at a glance. Then I get more in-depth on the weekly view, where there's room to write all the things I have to do each day. I'll write down my blog post ideas, appointment times and locations, and the fun stuff I did that day! 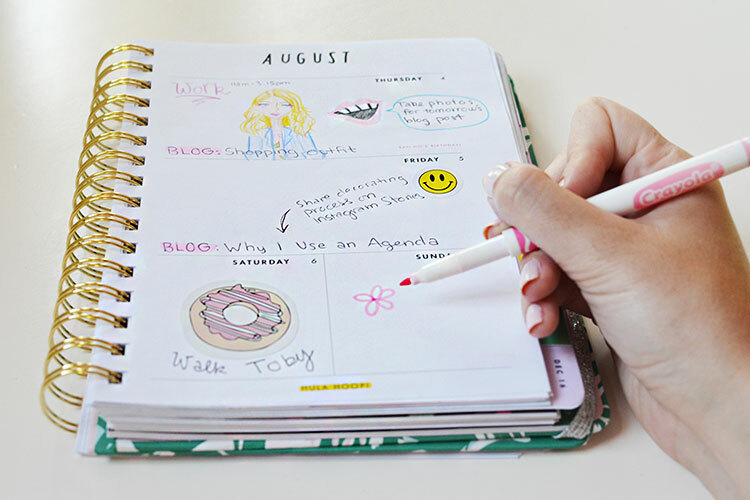 For me, planners aren't just a way to keep track of things I have to do; they're a way to remember things I've done. It may be lowkey hoarders status, but I keep all my old agendas and occasionally look back on them when I want a trip down memory lane. It's fun to read about the things I did in high school, or even look back at all the sorority stuff I planned last year as New Member Educator. I don't keep a diary, so for me my agenda is the next best thing! 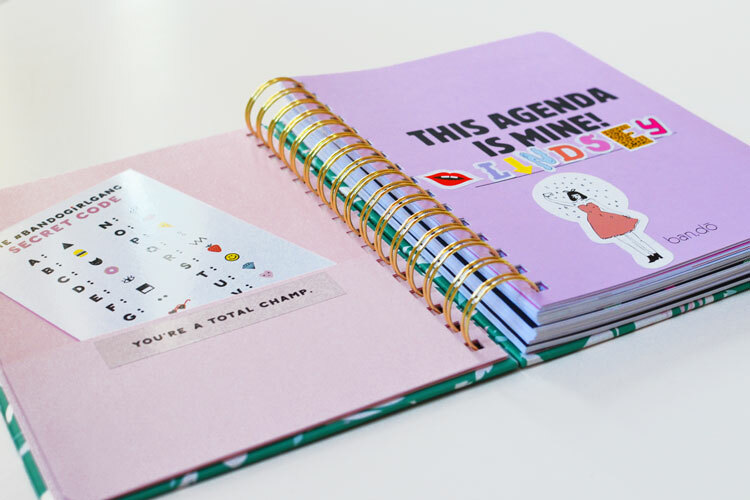 Do you use an agenda to stay organized? Which brand is your favorite? 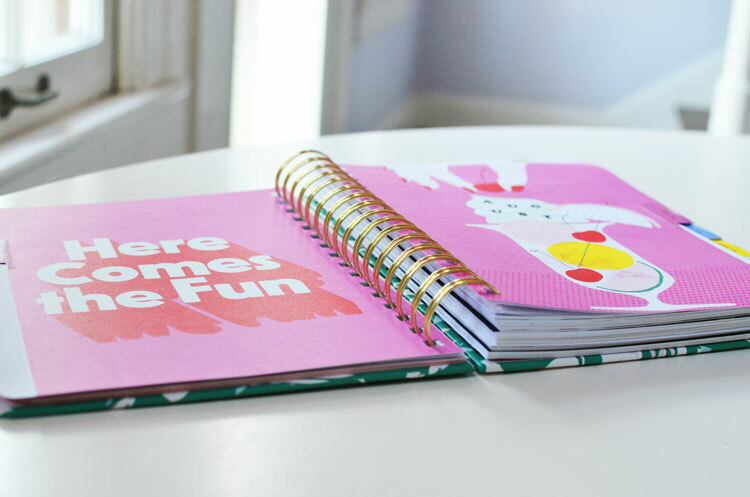 oh that's such a cute agenda!